The Society for Research into Higher Education (www.srhe.ac.uk/) or SRHE, held the inaugural meeting if the new Digital University Network, convened by Dr Lesley Gourlay and Dr Kelly Coate, at its office in London on Friday 2nd March 2012. The network is a response to the changing technological landscape in which Universities now operate and the disruptive opportunities that technologies in education represent. The network aims to being together researchers and practitioners to explore the impact of technologies on academic work. This first session set the tone as clearly one both practical and theoretical, concerned with the impact of technological processes on identity, social networks, research methodologies and the evolution of theory. Some twenty academic practitioners from across the UK and Ireland attended the inaugural event to share insights into the new emerging theories of education responding to technology. The emphasis of this first session was clearly positioned as moving away from the social ‘human to human’ relationships towards new considerations of the human-object relationship. 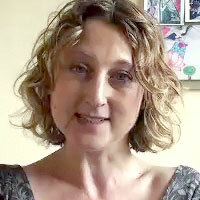 Building on her background in professional studies and professional learning and building her coherent argument around actor-network theory (ANT), with a passing reference to complexity theory, Tara Fenwick provoked debate regarding knowledge located outside of human-human interaction. Working off Bruno Latour, she explored the notion of humans as nodes, with equal status to other objects, within complex networks. The implication being there is only one ‘closed system’, that of everything. As though to reinforce Latour’s argument that social critiques must embrace empiricism to regain focus and credibility, Professor Fenwick produced a range of theoretical lenses and examples from health, emergency services and education to demonstrated the non-centrality of the individual in ANT. Borrowing on the French notion of ‘assemblage’ she outlined the issue of the importance of materiality, of materials conveying meaning, preventing actions, permitting actions. This concept of the socio-material assemblage was illustrated with classroom examples (children changing socio-material relations with the introduction of a glue gun) and she argued the social and material not only inextricably intertwined in assemblages of the human and nonhuman, but also that education is itself a ‘network’ or assemblage of ‘practices and knowings’. This ‘posthuman’, not anti-human, approach, prioritises the sociomaterial and poses challenging questions for education and educational technology. It provoked me to consider carefully how we approach the nature of our physical spaces and the particular ‘intrinsic’ affordances of those spaces. Dr. Bayne ((@sbayne)) followed with a fascinating and wonderfully illustrated presentation of sociomaterial assemblages in both the form of her presentation and the examples of her postgraduate students’ work that she shared. 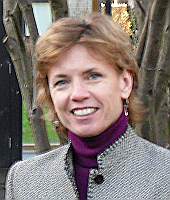 She is the Programme Co-Director of the University of Edinburgh’s MSc in E-learning (http://www.education.ed.ac.uk/e-learning/), and following a review of the literature used examples from this innovative programme to illustrate that to learn and teach across diverse and complex digital spaces is to experience “uncertainty, disorientation and fragmentation”. Drawing on the literature of the ‘posthuman’, but not interestingly of earlier sociological (Schultz), or historical (Innes) perspectives, she explored the idea of ‘strangeness’ in new ‘digitally enabled’ modes of ‘being’ in education. In particular, she raised challenging issues regarding assessment practices in online learning can explicitly engage with disaggregation, spectrality and posthuman pedagogy, as critical moves in re-thinking teaching, learning and assessment for the digital mode. There was an interesting discussion around the ambiguity of ‘technology-enhanced’ learning and technology-critical perspectives that might be said to imply that technology served simply to enhance what was already effective and human-centered. Using a range of literature from critical post humanism (literary), ecological post humanism (biological sciences) and technological post humanism (technology) Dr. Bayne placed the human ‘outside’ the centre of things, and in so doing illustrated the pervasiveness of the idea of the ‘other’ as essentially ‘other then human’. Dr. Byane shared some exciting examples of student MSc work, assessed ‘digital essays’ in which the textual artefacts themselves were 'gatherings', looking beyond text as representational. Examples from the "thinking otherwise" project included a museum to the cyborg in Second Life called "imaginarium" in which textual content displayed as billboards and notecards, and an apparently traditional essay in which every work was hyperlinked to a different URL, demonstrating the ‘portal’ nature of words (the scene from the lost railway station, ‘Mobil Avenue’ in The Matrix sprang to mind in which Rama Kandra says to Neo, ‘What is Love?, it is a word’). My personal favourite amongst the Edinburgh student work was a digital essay in Google Earth in which connections were illustrated through visual metaphor, analogy and representation, the essay explored the notion of the flâneur, with the audience gaze itself of being acted out as a flâneur. There was intense discussion about the difficulties and challenges of assessing such work although we were led to believe that the institutional processes were fairly mainstream and the assessment rubric looked like any other Masters level ‘essay’ rubric. There was discussion about the notion of ‘essay’ and concern about the subjectivity of the assessor. I found it intriguing that colleagues felt they could not assess the content because they did not posses the ‘technical’ skills of the authors, demonstrating perhaps that we continue to assess in an ‘apprentice’ framework and not one based on dispassionate criteria. Also perhaps, that we are in assessment practices of all things, still essentially ‘human’.